In today’s world we are faced with many choices and choosing a Forex broker is no different. Easy-Forex has been in the retail Forex business longer than most and they understand that individual traders have different needs and wants. That’s why Easy-Forex continues to evolve to ensure that you can trade in a safe, informed and supported environment. With Easy-Forex, you will be able to join the largest forex group on Facebook and participate in the conversations, market reports and competitions. Get market tweets directly from Easy-Forex’s dealing room and be part of their professional LinkedIn group. With just $25, you will be able to open your own trading account. A simple 2 step sign up process and multiple payment options (including by credit card), makes opening an account with Easy-Forex very simple and easy. If you are new to trading, your personal account service manager will provide one-on-one training in your language. More experienced traders get great service and professional market insights from their Personal Dealer. Whether you prefer to trade via the web, on your desktop, smart phone, iPhone or PDA – Easy-Forex has got a platform to suit your needs. 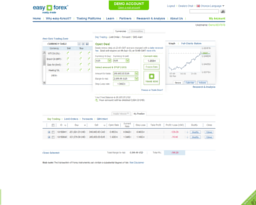 With your one trading account, you can trade on all of Easy-Forex’s platforms. Easy-Forex offer fixed spreads – which means that whatever the market is doing, your spreads don’t change. You only have to pay through spreads and rolling fees with Easy-Forex, with no hidden fees and no commissions on deposits or withdrawals. 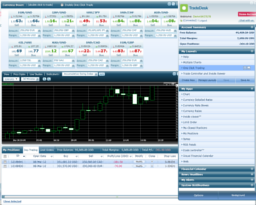 There are no margin requirements/calls on Easy-Forex’s web platform and TradeDesk™ platform. With Easy-Forex’s MT4 platform, you can start from just 0.01 lots and no margin is required to hedge positions. Make trading decisions knowing you are getting expert market analysis and technical reports, the way you want to receive them – SMS, Twitter, online chat, live news videos and emailed reports. Whether you’re starting out or an advanced trader, you’ll benefit from Easy-Forex’s comprehensive online video education course. You can sharpen your trading skills on Easy-Forex’s no obligation trade simulator or get a free $100,000 demo account giving you access to all their platforms and trading services. Your money is kept in a segregated account, ensuring that whatever happens, the money is always available to you. Secure online payments are safeguarded with Verisign with account base currencies available in EUR, GBP, USD, CNY, AUD, PLN, ILS, ZAR, NOK and JPY. Liquidity is provided by global Tier One banks. 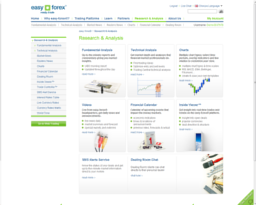 Since 2003, Easy-Forex has been servicing clients in over 150 countries worldwide. Easy-Forex are licensed in Europe, Australia and USA and have offices in London, Chicago, Limassol, Warsaw, Sydney and Melbourne. Easy-Forex® is audited yearly by PriceWaterhouseCoopers. To find out more about Easy-Forex and to sign up for a free account, click here.